The whole point of having an online presence is to entice customers into your business so you can convert them to paying customers rather than just browsers online. As a business, how likely is it that potential customers will find you and come through your door? For potential customers, nothing is more frustrating than finding out they have the wrong information about a business’ location or operating hours. As a customer, how likely are you to give a company your business when you show up at a store at 6 pm (as listed online) when they closed at 5 pm? Not very. In fact, according to Placeable, 73% of consumers said they lose trust in a brand when the online listing shows incorrect information. Here are six big reasons why your local business listings need to be accurate at all times. When people do an online search for your business, they look for many things. The number one thing people look for the most is the hours of operation, since their search is likely for a business that they frequent quite often or need right away. In fact, in a study conducted by local data aggregator Localeze, hours of operation were noted as the most helpful feature in selecting a business during local search. Seventy-six percent of respondents said they expect this information when searching, while 61% believe that it helps them to select a business. Even if a person is new to a business, it doesn’t give them a good impression if business hours are not listed and they don’t know that it’s only open Tuesday-Saturday from 11 am to 6 pm, for example. Imagine that potential customer who is ready to spend their money in your store, but shows up on Monday at 7 pm only to find it closed. That customer is likely going to do another search on their smartphone, find a different store and spend their money there. You’d think that a business’ address would be the number one detail people search for a business online. But, it’s actually the second most desired information. But if a business address is incorrect in a Google or Bing listing, then customers will not cross the threshold. A simple thing such as the wrong number on a street address, or even the wrong town, can mean that a customer cannot find you. The U.S. Postal Service relies on a complex system of checks to verify and standardize addresses, and many of the search engines will default to the USPS for correct mailing addresses. What this means is that unless a business is in an established location, getting the correct address on their online listing means that both the address from city hall and the information on USPS must be consistent. If USPS doesn’t recognize that address, then a business owner must contact them to verify their new address and get that information updated on USPS’s online database. According to Localeze, mobile-phone-based searches drive in-store purchases with more than 75% of searches ending in a purchase. That is, if the business’ online listing details are correct. 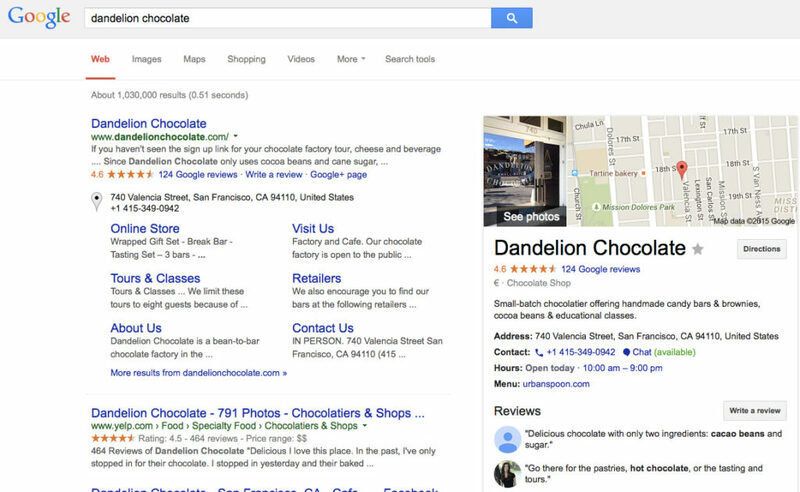 Now, if half of the people searching for a business listing on Google can’t find the store’s business listing details, then the business is going to lose a significant amount of business. To make it easy for potential customers, some of those details need to be as readily available as possible in a mobile-friendly manner. This can be accomplished with a responsive website that supports cellphone and tablet-specific versions. Any listing should be linked to the business’ website and feature the exact same information, but more of it. While a website should be enough to entice a customer to visit or buy, if those inconsistencies exist, then trust issues may arise in the eyes of customers before they ever cross the threshold. People who search businesses online do it in many more ways than when the internet first coalesced into existence over two decades ago. In that time, we went from working on desktops to laptops to PDAs to Blackberries to Apples to tablets – and in each iteration, the methods of search have changed. Over time, web developers began realizing that they need to be smarter. Rather than designing three different sites for computers, tablets and smartphones, websites are now created to be scalable to each type of device. According to Pew Research Center, in 2015, smartphone ownership in America was at 68%, with tablet and computer ownership at 45%. Statista says that almost half of American adults use their smartphones the most to search for local information online, while the other half is split between computers (40%) and tablets (11%). According to Localeze, what people are searching for varies by the time of day and the device. Entertainment is searched for during work hours on computers, restaurants during evening using phones, and health/fitness evening using tablets. The most important part of those mobile searches is accuracy. If someone cannot find your business in a local search or find inaccurate results while out and about, then your business has lost the chance for that person to become a customer. So, having those listings correct in all device formats is a must as consumers and technology continue to evolve in the way we all interact with local businesses. Local search results are considered the most trustworthy. A study by Neustar concluded that people do local searches, such as “used games in Raleigh,” the most since they put that trust in local business more than big-box or large website stores. Think about it: Would you rather go to a local store right now, where you can find the perfect pair of shoes for that wedding you’re going to this weekend? Or do you want to chance ordering online with the potential for delivery delays or incorrect sizing? Local searches lend themselves to instant gratification and interaction between the people searching online and the salesperson. Those interactions are what lead people to local searches and the absolute necessity of getting your listings correct. Trust leads to loyalty, which leads to more business and happier customers. And it all starts with that correct listing in that customer’s local search.